When TryDay Friday rolls around on the Today Show, Kathie Lee and Hoda turn to Lou Manfredini. Lou knows DIY tips and tricks to solve all kinds of common household problems. 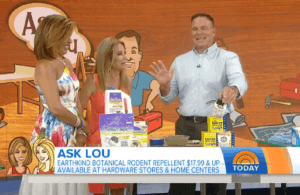 When a viewer wrote to Kathie Lee and Hoda complaining about rodents chewing up her car wiring and nesting in the engine, they asked Lou what to do. Rodents are responsible for expensive damage to vehicles when the wiring needs to be replaced. Lou knows that catching the rodent in a trap won’t matter if your car has already been damaged – prevention is key! Fresh Cab Rodent Repellent keeps rodents away, preventing the damage before it can occur. Watch the full segment here: From smells to squirrels to shower doors, your pesky house problems solved. When TryDay Friday rolls around on the Today Show, Kathie Lee and Hoda turn to Lou Manfredini. 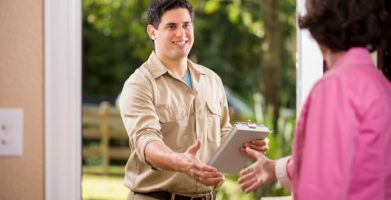 Lou knows DIY tips and tricks to solve all kinds of common household problems. 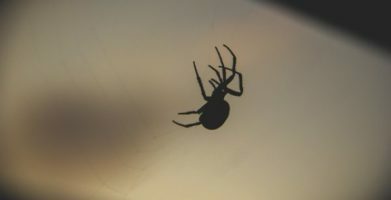 When a viewer wrote to Kathie Lee and Hoda complaining about rodents chewing up her car wiring and nesting in the engine, they asked Lou what to do. Rodents are responsible for expensive damage to vehicles when the wiring needs to be replaced. Lou knows that catching the rodent in a trap won’t matter if your car has already been damaged – prevention is key! Fresh Cab Rodent Repellent keeps rodents away, preventing the damage before it can occur. Watch the full segment here:  From smells to squirrels to shower doors, your pesky house problems solved. string(42) "Fresh Cab Rodent Repellent® on Today Show"